Kate Selner of A Nice Cuppa posted this recipe up, which is from Suvir Saran’s Indian Home Cooking cookbook. We have altered it just slightly. Since you are simmering (and careful not to boil) the “milk,” a milk alternative will work fine in this recipe as noted. Crush herbs and spices, leaving large pieces. Combine all ingredients in saucepan and bring to a light simmer. Turn off heat, cover and steep for 15 minutes. Uncover, return to a simmer; strain and serve hot. Can be chilled. 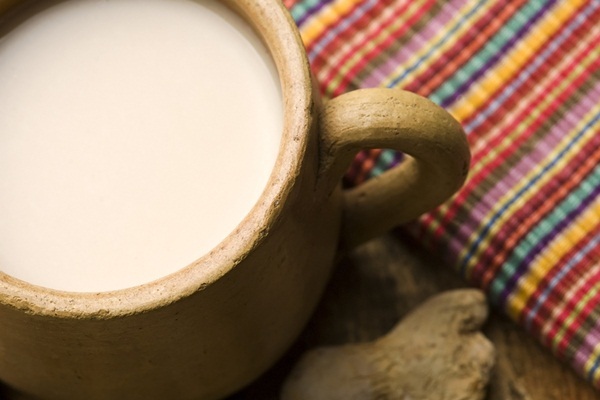 Be sure to use the milk alternative that suits your diet best (ie rice or soymilk for nut-free).